DSC_9388, originally uploaded by gcbb. This week, I entered my last semester at AHO. 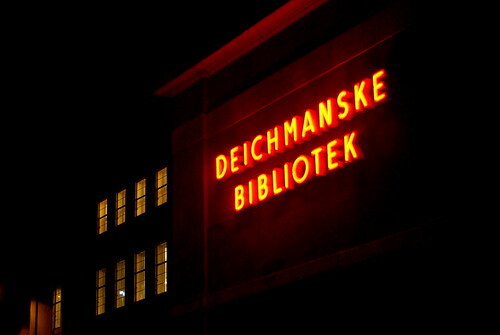 I´m doing my master thesis in collaboration with Deichmanske library in Oslo (again… see previous post). The thesis will explore future technological posibilities for the library, looking at what rolles it can fill, and services it can provide in using mobile technology. DSC_9582, originally uploaded by gcbb. A little update on what I`m doing besides the Teknoform course. 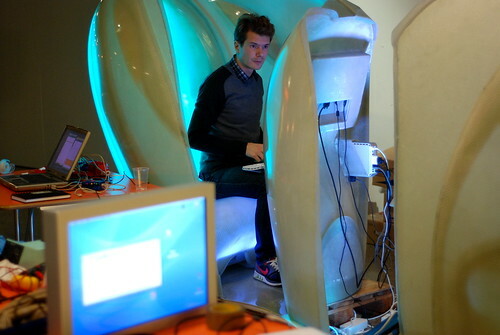 Together with Knut, we have worked on some media stations for the Deichmanske library in Oslo, Norway. The stations have been conceived from a studio course at IDE, AHO in Oslo, Norway and the Industrial design institute at HfG in Offenbach, Germany together with the OCEAN research and design network. Knut and I came in on the very end of the project, and have programed- and installed a reactive LED lighting system that communicates with the machines (Mac) as well as installing/fitting speakers, mini-macs and touchscreens. I shall try to show the project more in detail later. Turns out, as always, [good] ideas does not come alone! I was thrilled to read this article on Gadet Lab and this article on PSFK about Yahoo’s camera equipped bicycle. The bicycles are equipped with solar powered Nokia N95 mobile phones using the GPS, the camera and direct uploading to Flickr. 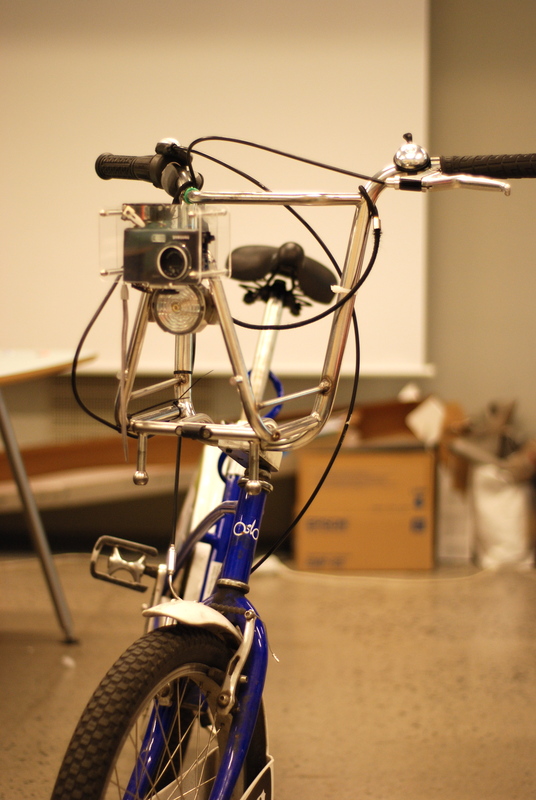 The camera is also connected to an accelerometer, so that it takes pictures every 60 seconds, making it a “life streaming” bicycle, or maybe a blogject? The project is a part of Yahoo’s Start wearing purple campaign, (which I haven´t really got onto yet). I find it quite exciting to see a very similar project to that of my own in development, especially from a big player like Yahoo, and it will be interesting to see what they do out of it. If you take a look at their flickr stream the images have striking resemblance to the images uploaded by my own flickr streaming city bike. (Do notice that comment which confirms one of my findings), so I look forward more results! That was a lot of links to this and that, but you get my drift… More will surely follow, but be sure to read my other project blog here in the mean time. Anyway, this semester I´m following a course called Teknoform (this is a link to the course description, and this the course presentation). The course is more product design oriented, which feels a bit strange for me as I have an inclination towards interaction design, but my idea for my master is hopefully to be able to combine the two disciplines, or work within an area in between the two. In trying to keep a tidy ship, I have created a new blog for this new adventure called: (eh) GCBB (at least for the moment) found at http://gcbb.wordpress.com/. project round-up is on its way! It has been an extremely hectic three weeks, and the project-blog has been inconsiderately neglected I will do something about that , but it may take some time. In short, more testing was done, a prototype built, a paper was written and the project was presented to an external sensor. Everything has been exhibited on our school for the semester exhibition AHO Works. Today I have been doing concept-testing out in the streets. Joachim, Andre and Jan-Christian joined me for a couple of hours to do some chasing around st.Hans-haugen. 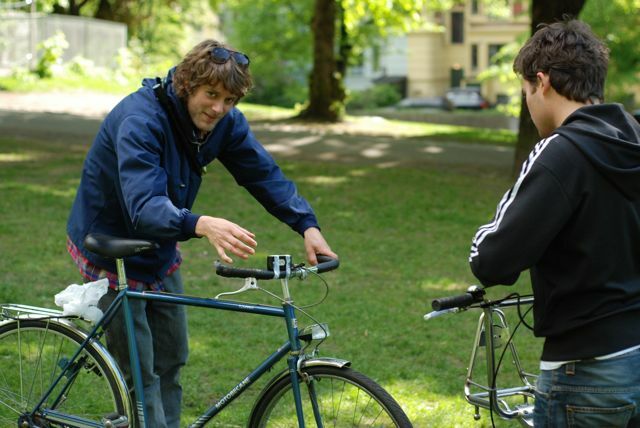 We tried two game- concepts: Tag, and bingo, with camera mobiles strapped to the bicycles. The first game was done in three intervals, with an increasing arena to play around. This was to warm up- and to get into the gaming. It turned out, quite obviously that the bigger arena, the more fun! However, we were to few to really unfold within the borough. This could be solved with a radar that give you hints on the directions to competitors. Joachim, Jan-Christian and Andre were most keen on the game of bingo, were everyone got tasks of what to take an image of. This seemed to because it allowed them to roam on longer distances. All in all it gave me a good insight into the restrictions and possibilities in the games. Andre hunting down an innocent passerby. The design-brief as presented is a very general on ment to intrigue, and to “sell” the project. Design Brief for work on a camera for the game concept Chaser. 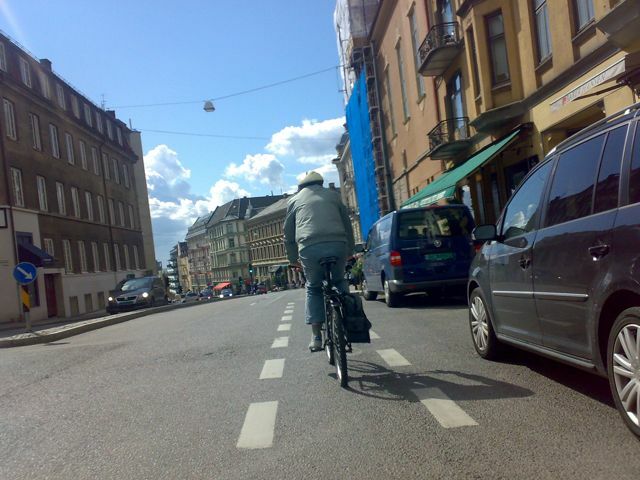 Background: Chaser is a game that uses Oslo Bysykkel (city bikes) as an infrastructure for play in the streets of Oslo. It is a game that is based on “manhunt” or “catch” It is a competitive game-structure based physical displacement off free-moving individuals or teams, and can have many different game-narratives and organisations (pursuit/catch, collecting/scavenging, search and destroy…) . The games are organised around the system of the city bikes, that users subscribe to, uses freely for up to three hours and that is monitored by Clear Chanel as service providers. 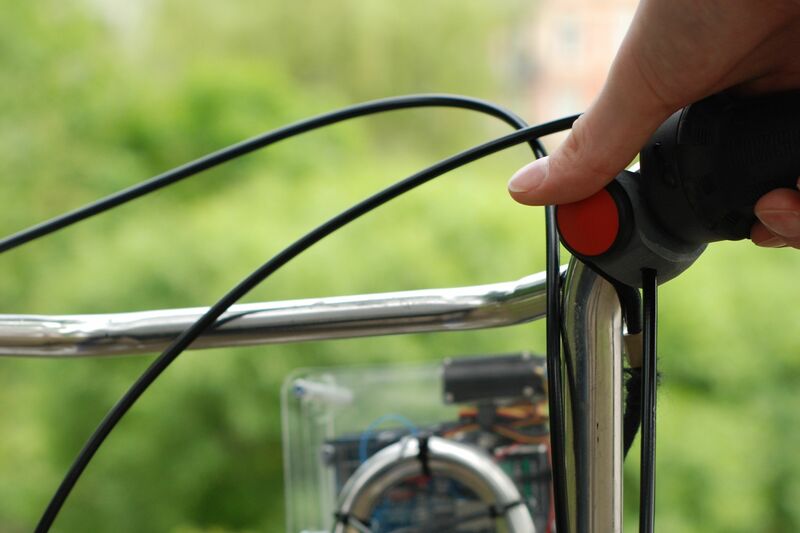 The bicycles themselves are equipped with cameras, geo-location and network possibilities (chaseCam), and are as such to be considered as networked objects. 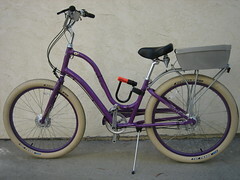 Every bicycle has accordingly it´s proper identity recognised by the system. The user decides themselves to participate in the game, on the street and the online game-community. All users are registered in Clear Channel´s system and have accordingly their proper identity that is monitored by the system. The online game-community regulates the game and the players, and is an arena for sharing, conversations, reputations and relationships. How does a camera survive the public domain? Goals: The camera needs to be robust and with foolproof operation. The camera will need to be self explanatory, and enhance the gaming-experience. 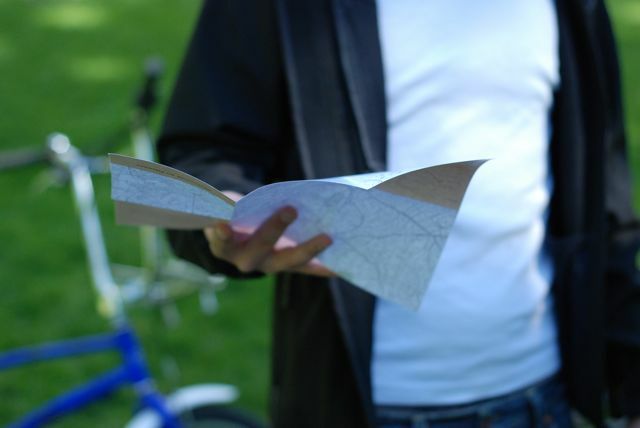 Deliverables: The project should result in several iterations before a final design. The final result should consider ergonomics, interaction and aesthetics. The final result should be “shelf-explained” and “productized” but a “commercially rational” product is not expected. Consider this statement to be a work in progress for the moment. Jan Chipchase » Connectivity is not binary, the network is never neutral. Is device-as-a-service the future model for smartphones? Incremental vs. radical: What’s the future of product innovation?